Permafrost is a ground thermal condition occurring in cold regions and is defined as ground that remains at or below 0 °C for two or more consecutive years. 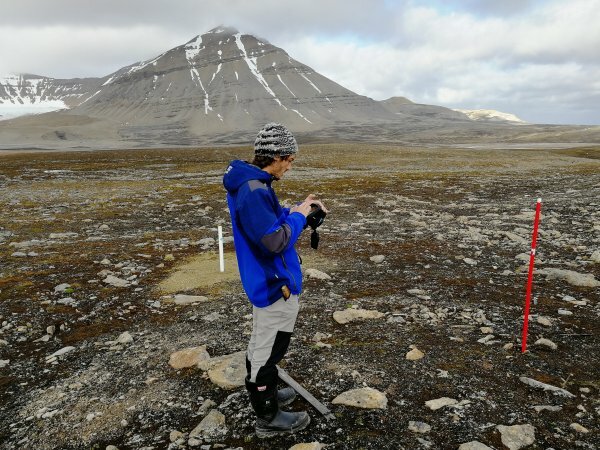 Permafrost can be affected by climate change and several research groups have been monitoring the state of permafrost on diverse sites in Svalbard. In the 2017 call for pilot projects, the project "Permafrost thermal state in Svalbard 2017-2018 (PermaSval)" received funding to improve cooperation by comparing activities at 5 sites. The project consisted of two parts: a workshop to plan a contribution to the first SESS report and a field part with access to SIOS research infrastructure. The project and workshop were led by Dr. Hanne H. Christiansen from the University Centre in Svalbard. The access portion of the project was led by Professor Mauro Guglielmin from Insubria University and is described below. The first task was to upgrade the CALM grid located near the Admundsen-Nobile Climate Change Tower (CCT) in Ny-Ålesund. CALM stands for Circumpolar Active Layer Monitoring, which is a network for long-term observations of the Climate-Active Layer-Permafrost System. The primary goal of the CALM programme is to observe the response of the active layer and near-surface permafrost to climate change over long (multi-decadal) time scales. The CALM grid instrumentation in Ny-Ålesund was upgraded successfully with four new shallow boreholes, each 1 m deep and equipped with four thermistors placed at 0.02, 0.3, 0.6 and 1 m depth. The thermistors record the ground temperature every 30 min. The second task of the fieldwork team was to download the data from the 12 existing boreholes. In addition mantainance was carried out of the snow camera and of the big datalogger. Prof. Guglielmin was accompanied in the field by Prof. Nicoletta Cannone who surveyed the vegetation of the grid and Dr. Stefano Ponti who carried out thermal imaging of the plots. Thermal imaging is a new technique to map the ground surface temperature of the grid. Dr. Stefano Ponti is taking a thermal image of the plots - a new technique to map the ground surface temperature.